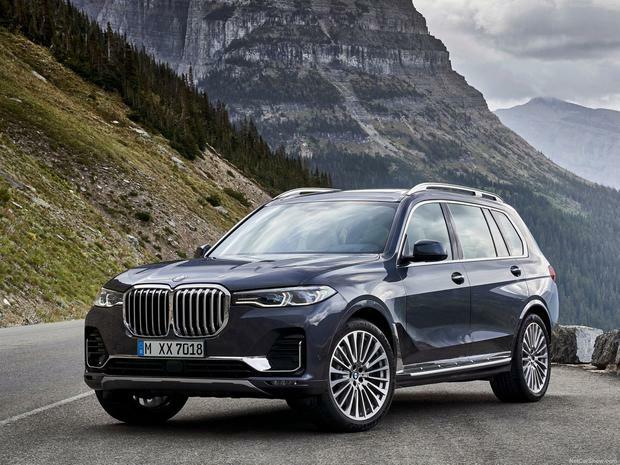 The BMW X7 is officially the largest BMW – think of it as an X5 on steroids. But at more than 5.1m long, it is one of those cars that no matter how carefully you park, it always looks nonchalantly abandoned by overhanging conventional parking spaces. There are three different engines on offer, one petrol and two diesels, ranging from the family-friendly xDrive30d to the M50d M Performance model – a sublime blend of power and economy. On the road it is effortless, and wafts you along smoothly. Despite its size, it is impressively dynamic but at all times supremely comfortable. It’s also simple to park, thanks to the numerous driving aids on tap, reassuringly given its size, the parallel parking aid will squeeze you in so tightly to a parking space you will wonder how to get out of it. It’s also crammed with safety aids and standard features including a collision and pedestrian warning with city braking which can alert the driver when a cyclist is detected. Yet while there is much to sing about, it’s a struggle to understand why someone will buy one over the X5, a car that offers similar performance and economy for €25,000 less. Behind the wheel, it looks virtually identical and on the road, the two are inseparable, so while it is certainly bigger than the X5, I’m not convinced it is any better.